SKY News programmes First Edition, AM Agenda, PM Agenda, Speers Tonight and Paul Murray Live will broadcast Live from suburban and regional communities throughout the year. Starting with Morwell in Victoria, the Sunshine Coast in QLD and then WA, SKY News will air close to 100 special Live outside broadcasts from more than 25 locations across the country. In 2016 Paul Murray took the Federal Election to the people, broadcasting Live during the campaign from 16 regional locations across the country. In 2017, Paul continues his journey to tell the stories of local heroes and highlight the ground level concerns of the country communities he visits. Flagship programs First Edition and AM Agenda anchored by SKY News Chief Political Reporter Kieran Gilbert, and PM Agenda anchored by SKY News Political Editor David Speers will head out of Canberra each month to better inform the SKY News audience of the issues and challenges facing our towns and suburbs. The first SKY News Live ‘The People’s Agenda’ broadcast will be from Morwell Victoria, with the week-long coverage commencing Monday January 30. A special edition of Speers Tonight will see David Speers host a community roundtable where SKY News viewers will hear directly from voters as to what their policy priorities are, the challenges their communities are facing and explore whether the messages coming out of Canberra are resonating. The Morning Shift, weekdays at 9:30am: Led by SKY News political reporter Tom Connell, The Morning Shift will be anchored each day by four members of the SKY News family including Ashleigh Gillon, guaranteeing fresh perspectives and a lively discussion of the news as it breaks. Richo, Fridays from February 3 at 8:00pm: Australia’s ultimate political insider Graham Richardson returns bringing his unique insights into a range of the day’s topics, not just politics. Paul Murray Live, Monday-Thursdays 9:00pm – 11:00pm: extends to two hours a day Monday to Thursday from 9:00pm. PML Overtime gives Paul a second hour to extend the debate and the analysis, covering the stories that you might have missed. Heads Up, Monday-Thursdays at 11:00pm: Chris Kenny looks ahead to what will make headlines the following day, with exclusive access to the front pages of the major papers nationally. Featuring interviews with newsmakers on unfolding events and insightful commentary and analysis on where the top stories might track, with plenty of laughs along the way. Saturday Edition, Saturdays from 7:00am – 10:00am: New signing Caroline Marcus joins Paul Murray and sports anchor Greg Thomson for a feel good start to the weekend with the day’s news, sports, entertainment and weather. Sunday Edition, Sundays from 7:00am – 8:30am: Kristina Keneally joins Peter van Onselen for a lighter take on the day’s news and politics. Kristina also joins Peter for Sunday Agenda, Sundays at 8:30am. 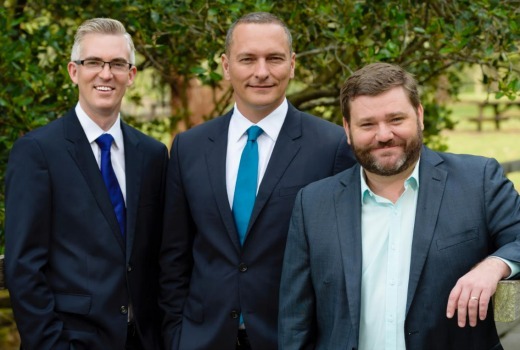 Outsiders, Sundays at 10:00am: Former Labor leader Mark Latham, former Liberal MP Ross Cameron and editor of The Spectator Australia Rowan Dean, are back to fire up Sunday mornings with their no holds barred observations on the political week that was. Politics HQ, Sundays from February 5 at 8:00pm: Nick Reece pulls back the curtain on politics, media and culture and explains what is really going on. With guests who are prepared to call it as they see it on politics, policy-making and how the media really works. I used to enjoy Sky News until the Bolt Report was axed from FTA to become a shock jock right wing fixture on the Sky News channel. Journalism as such is pretty much open to interpretation on Sky News, I may return to see if anything has changed as David Speers at least is good value, but enough of all the regular left and right wing rumour mongers. I could be wrong, but I seem to recall she was pregnant, so might be on maternity leave? Big story here is to see Richo back, after being so sick for so long. Was not expecting him to come back as a host. And as one host returns, Sky lose another in Alan Jones for a while also for health reasons.